27x22mm. Vintage reverse painted intaglio from Western Germany. Lovers in Paris with the Eiffel Tower. 27x22mm. 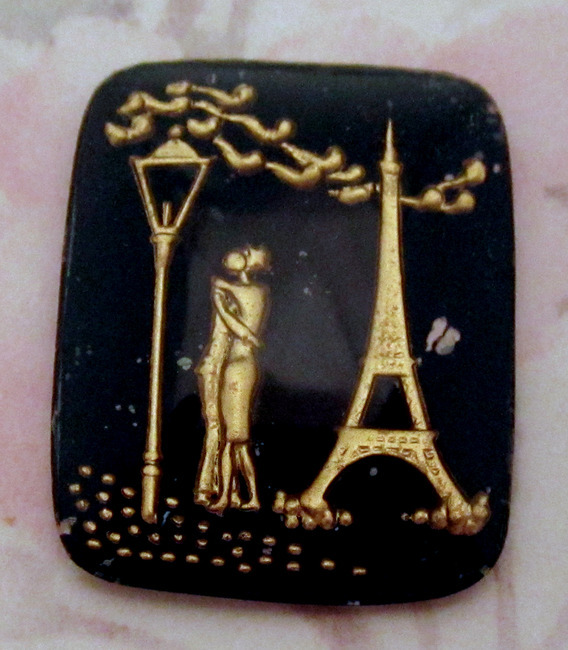 Vintage reverse painted intaglio cabochon from Western Germany. Lovers in Paris with the Eiffel Tower. There may be some minor paint loss as can be seen in the photo. New old stock.